2013 June « Secat, Inc. Sometimes the manufacturing or testing processes provide unexpected results – sometimes it can even be called ART! We’re looking for examples of this type of “Accidental” Art to feature in our Aluminum Wrap Up newsletter. Take a look at what we’ve featured so far and use your imagination. Send photos and descriptions to info@secat.net. This beautiful artwork comes from Wise Alloys LLC, in Muscle Shoals, AL and is displayed in their corporate offices. 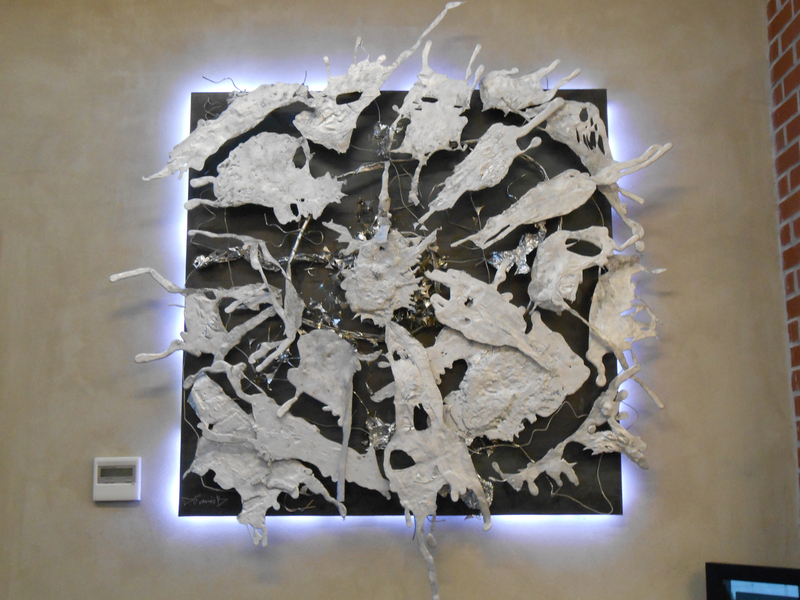 The piece was created with molten aluminum “splashes” and smaller pieces from skeleton scrap from the can making process. Secat has provided technical support to Wise Alloys since 2006. Wes Oberholzer, who is Chief Operating Officer for Wise Alloys, is a member of Secat’s Board of Directors. Sometimes art can be fleeting. Do you see the face contained in the image here? This accidental art was obtained when Secat staff were preparing grain structure optical microphotographs for an extrusion billet – not your average artistic medium! 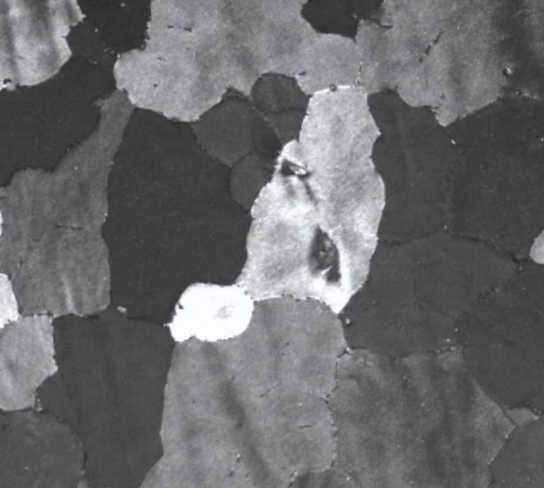 The photo was revealed after a sample had been prepared by mounting a section, grinding, polishing and etching the section and then examining the sample under a microscope. The image you see here was discovered in the photograph but could not be found again when the sample was reviewed! Again- We’re looking for examples of this type of “Accidental” Art to feature in our Aluminum Wrap Up newsletter. Send photos and descriptions to info@secat.net.